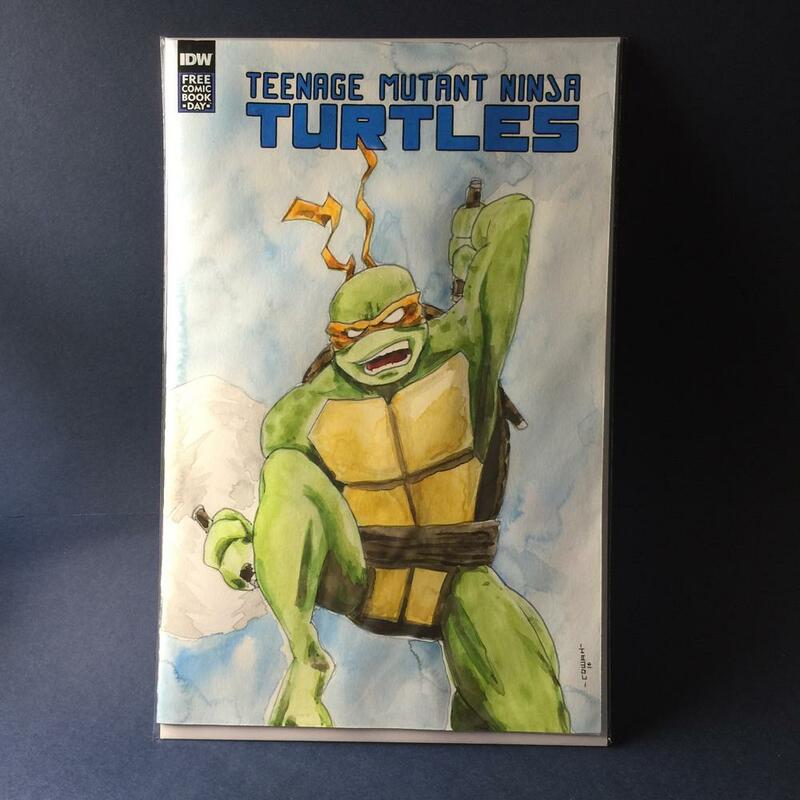 (Nearly) Complete IDW TMNT Collection - Everything Must Go! PLEASE be sure to PM me with any offers or questions, rather than posting a reply here. That'll ensure I see it and sell the books on a first-come, first-served basis. I'll try to keep the list as up-to-date as possible. Pretty much any price listed is negotiable, and for books with no price listed, feel free to make an offer! SHIPPING: Books will be shipped via USPS Priority Mail Flat Rate; US Shipping is $7 for 1-10 books, $14 for 11-50. If you buy more than 50 books, I'll get a shipping quote and charge actual shipping. International shipping is $35 via USPS First Class International for 1-15 books, any more than that and I'll get a quote. If you'd like to forego the faster Priority Mail shipping and save a few bucks, let me know and I can get a price on First Class or other cheaper options. ALL books will come bagged and boarded. Most will be in resealable bags, but some will be standard. Any applicable certificates of authenticity or seal stickers will be included. Payment via PayPal - if you pay "Goods & Services" please ad 3% to cover fees. I have photos of everything listed here (and more) on my Boxes account, here. You have to sign up to view them, but it's free, and if you don't want to bother, just PM me which books you want to see and I'll send you pics. Note: ONLY issues listed here are for sale. 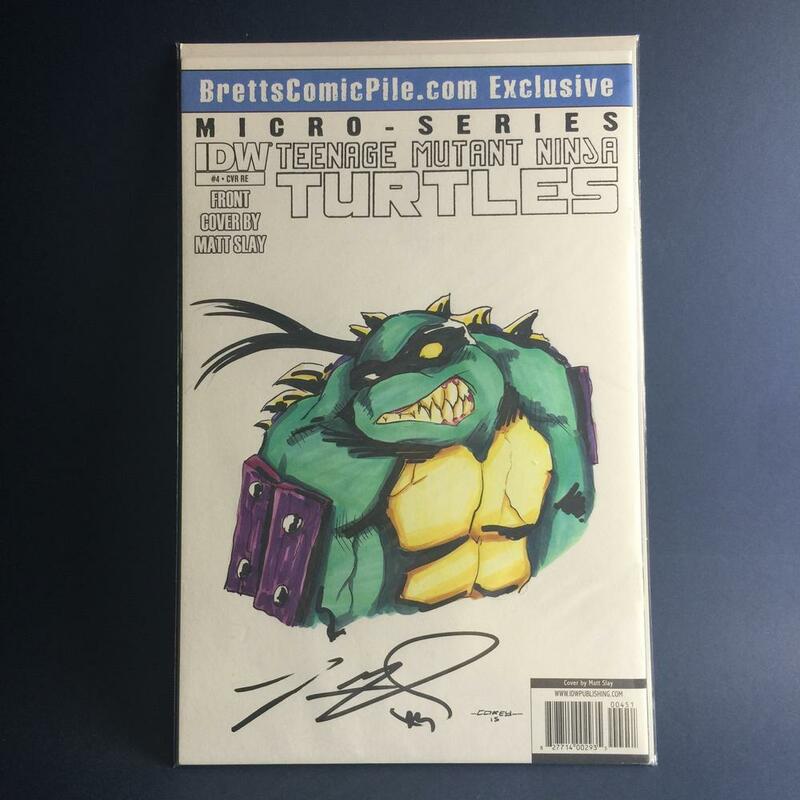 I have a lot of stuff (including a ton of TMNT sketches) on my Boxes account that are not for sale. Condition: most are NM, with a few VF to VF/NM; feel free to PM me with questions about the condition of specific books. Feel free to PM me with offers or questions. Sketch Commissions: See Post 6 of this thread for details! Green Text = Inquiry received, but transaction not yet made. Kickstarter Backer-Exclusive "The Works" Edition. 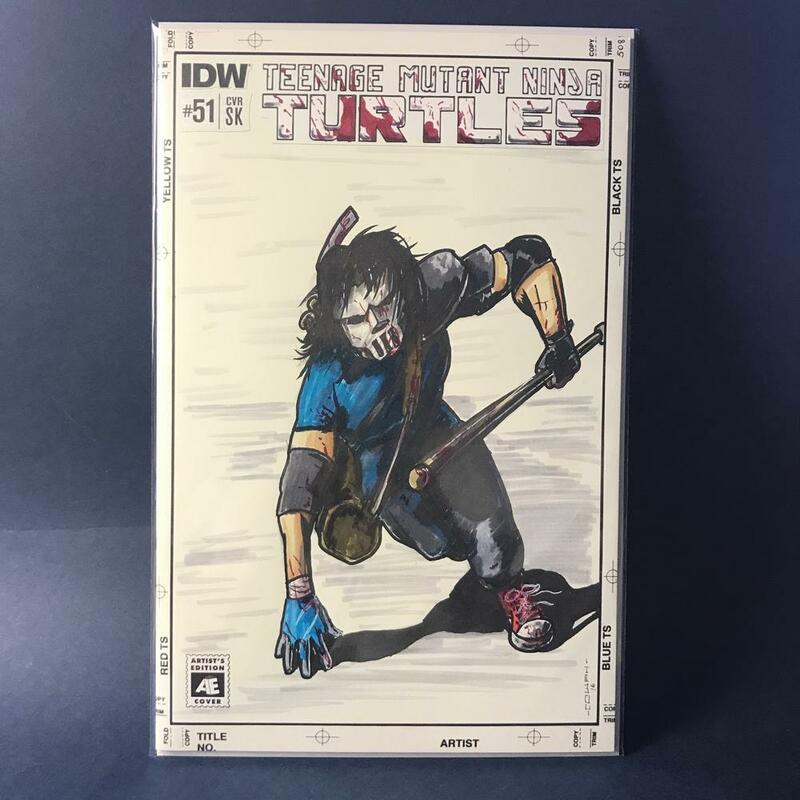 Never played, everything included except TMNT#1 variant comic. Miniatures never removed from packaging. Also includes unopened April expansion. $160 Contact me for shipping quote. Last edited by coreyrc87; 04-01-2018 at 04:14 PM. Last edited by coreyrc87; 10-18-2018 at 10:05 AM. Last edited by coreyrc87; 04-01-2018 at 08:57 PM. Last edited by coreyrc87; 07-06-2017 at 11:32 PM. I'm also offering sketch commissions and inking/coloring services. Sketches are on 9"x12", 100lb. bristol, unless otherwise discussed. Sketch covers are the same prices, just add $10 if I need to provide the blank comic (no additional charge if you send me the blank). Last edited by coreyrc87; 05-15-2017 at 10:00 AM. I had considered trying to sell the collection only as one huge lot, but realistically, I doubt anyone would want to fork out that much all at once. Not to mention the absolute nightmare that shipping for four long boxes would be. (Though if anyone is interested, I'm not completely ruling out the possibility). I'm not stopping collecting altogether, I'm just shifting focus from "MUST GET EVERYTHING" to (mostly) only blank covers and sketches, which have really always been my favorite part of the collection anyway. Now I'll hopefully be able to get more sketches and go to more cons since I won't be spending so much monthly just keeping up with the standard/RI/Sub/RE covers. 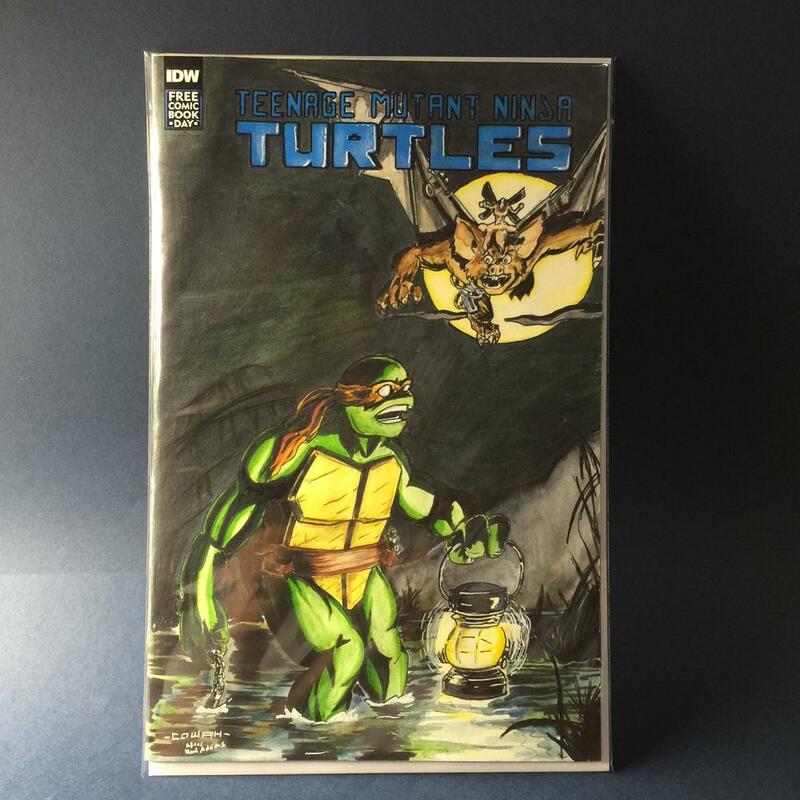 Join the TMNT Comics Buy Sell Trade FB group? There's always plenty of people there looking for various issues. I'm probably already in the one you're talking about. One, which Armani Millan is admin of, I'm going to post as soon as I get all the prices up. Armani asked that I get the posts here finished before I post it there. The "collectors" group that Rich started, I didn't think about it, but I might go ahead and post there. Combined shipping from one person would finally give me a chance to finish off my collection. Getting them from a respected posted would be a bonus ^^; (crosses fingers). Last edited by Tyma; 04-11-2017 at 05:00 PM. Thanks, everyone, for the overwhelming response to this! I've gone through and, I believe, the list is up to date. If you've messaged me about any specific issues that you want, and don't see them highlighted in green here, please PM me! I've got the list up-to-date again. Thanks again to everyone who's picked a few up! Please note: I've changed a few things in the info above the list of comics in the first post. I'll have more updates to come tonight. Thanks for the kind words! Always glad to help. Last edited by coreyrc87; 04-19-2017 at 12:13 PM. Gonna give the post a good ol' bump. Got the list up to date again. Still a lot of good stuff available! 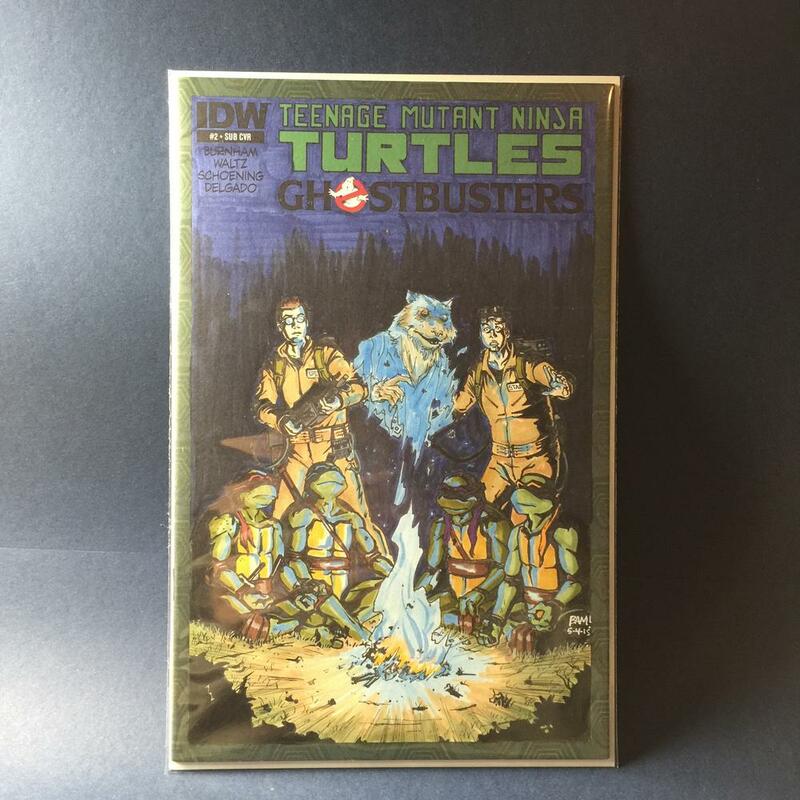 Sorry to hear you're getting out of TMNT collecting but I know it's a lot. 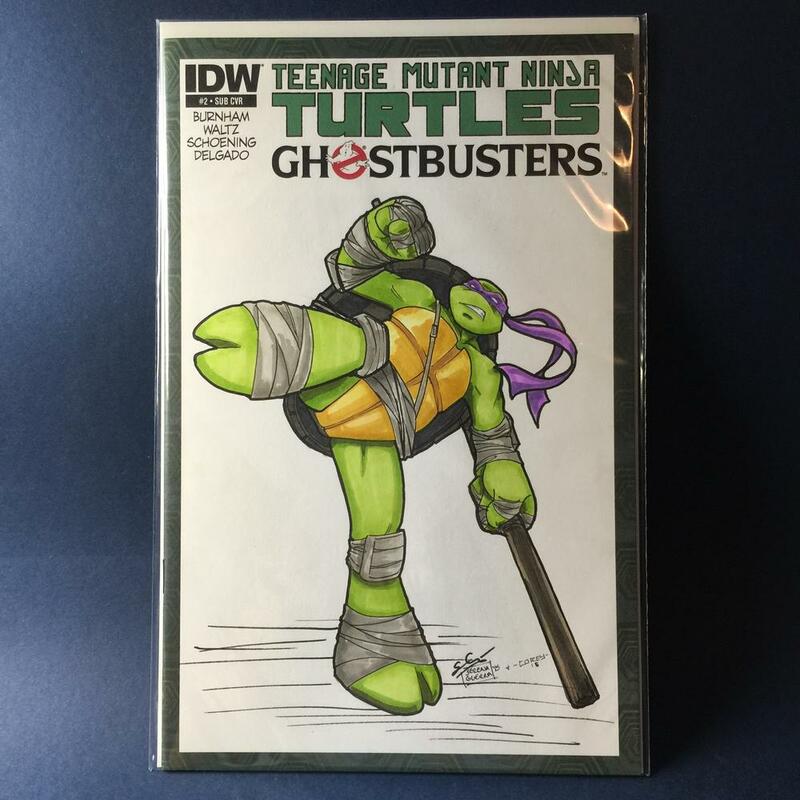 Feel free to post about this in our TMNT Comic Book Collectors FB group. Thanks, Rich! Will do! I'm not getting out entirely. I'm just dropping the "every variant, every issue" self-imposed mandate I was operating with before and focusing more on blanks and sketches. Speaking of which – I'm super excited about your Kickstarter cover and can't wait to see how my hand-colored version turns out! Noooooo! But I understand. Glad you're still collecting what you like though...that's important. And thanks for backing the cover...I think these are going to be really special. Bump! Still a lot to sell, and I really need to get these moving. Feel free to pm me offers!